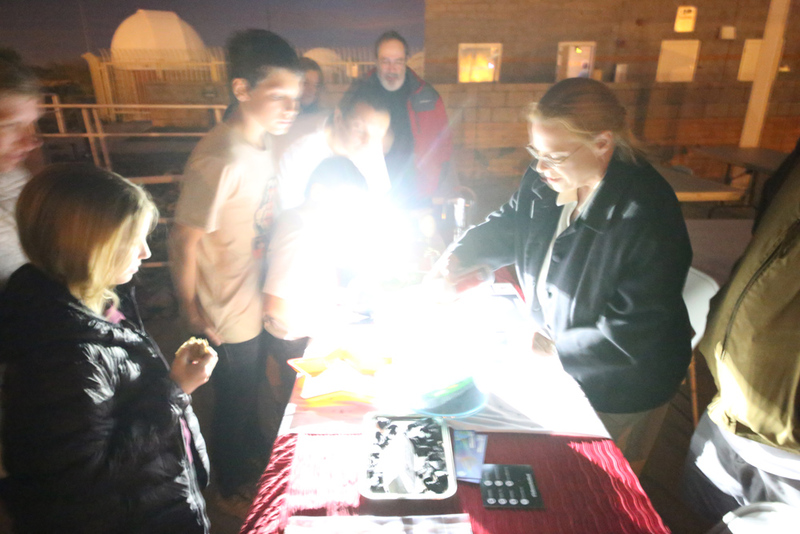 Astronomy's Tucson Star Party a big success! The stars of Orion and the winter Milky Way glide overhead at Astronomy Magazine’s 2018 Public Star Party in Tucson, Arizona, February 10, 2018. 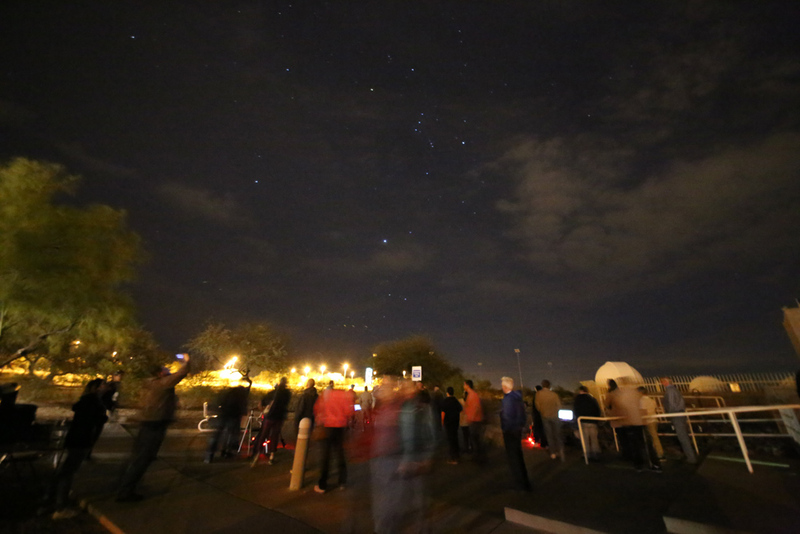 On Saturday, February 10, 2018, 180 astronomy enthusiasts showed up at Pima Community College’s East Campus in Tucson, Arizona, for the latest Astronomy Magazine Public Star Party. Despite an afternoon threat of hazy clouds, we persevered and thanks to great local support, had several hours of observing the sky. 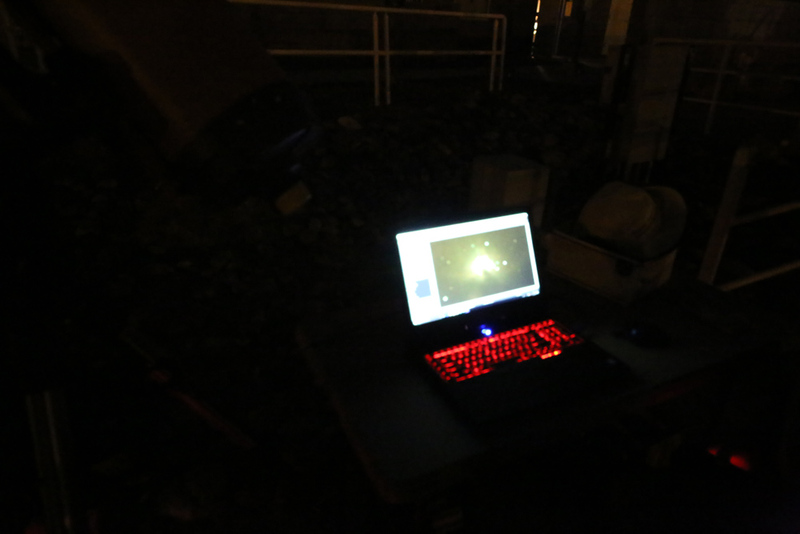 Amateur astronomers from the beginner level all the way through experienced old hands enjoyed looking at the Orion Nebula, Andromeda Galaxy, star cluster M41, the Pleiades, and many other treats as a partly cloudy sky meant that we concentrated on areas that were unobstructed. 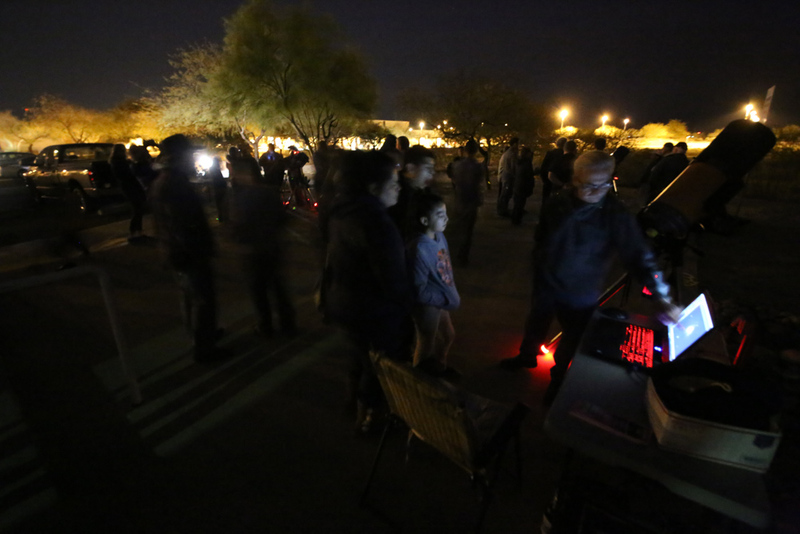 Many members of the Tucson Amateur Astronomy Association, led by the energetic Jim Knoll, showed up in force with great outreach talks and with more than half a dozen scopes, some of which had gently-lit computer screens, making it easy for kids to see views of the cosmos. The members of the TAAA were superb, and are gifted speakers in guiding kids and adults through the wonders of the heavens. We also had support from Keith Mullen and members of the Palominas Astronomy Club, from nearby Sierra Vista, and from Cary Chleborad, who traveled from Sacramento to enjoy himself and lend a hand. At least half a dozen scopes were focused on the Sun, beginning around noon, and so for many hours before the nighttime stargaze people came and went and we soaked in great views of a nice line of large sunspots right in the middle of the Sun’s disk. A special thanks also to two of my old friends, Rik Hill and Dolores Hill. I’ve known the Hills since I was 15, and they are always terrific. Rik was wonderful help with observing and telling great stories of the past. Dolores, who is Co-Lead for the Target Asteroids! project of the OSIRIS-REx asteroid mission, stole the show with the kids, especially, demonstrating cool stuff about what the mission will do. The hosts, Pima Community College, did a wonderful job with this event, as always, and they should receive a great vote of thanks: Emily Halverson-Otts, Lisa Brosky, Libby Howell, Maria Pereira, and Jaylene Wilson. Thanks to all!! 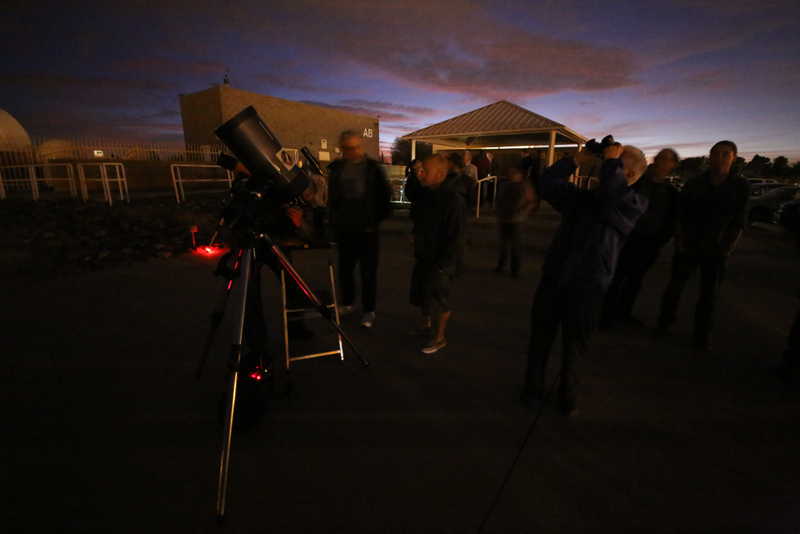 If you couldn’t attend the 2018 star party, we hope to see you next year!! 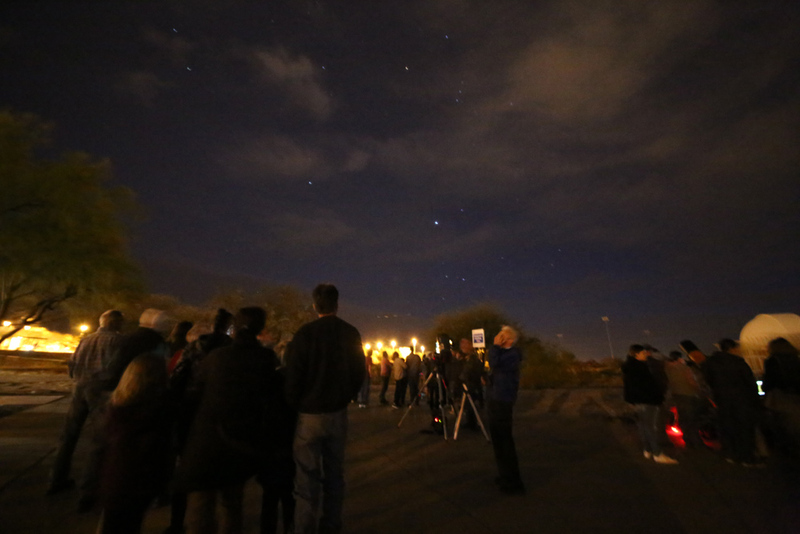 The 2018 Astronomy Magazine Tucson Star Party underway in all its glory.